The Cut-N-Edge full-service hair salon and barbershop is new to Shopper’s Village, and originates from a legacy of decades of experience in hair care and styling. Owners, Donna Littlefield and Wendy Lovejoy first opened the doors of this new venture on August 22, 2012 and have over 40 years of local experience in the Kennebunk area. 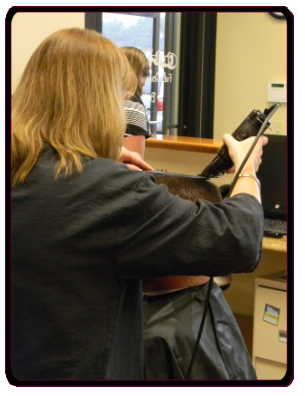 Boasting a friendly, clean atmosphere and taking clients by appointment or walk-in, the Cut-N-Edge can provide exactly the right haircut or treatment to ensure that you will leave looking better than ever!